James Taylor in Montreal or Quebec City? Inform me about the next events for James Taylor. Enroll yourself to our priority waiting list for James Taylor to be alerted when new tickets are available. Filling this form doesn't engage you to any purchase. James Taylor will be performing at the Bell Centre, in Montreal, on May 13th, 2016. 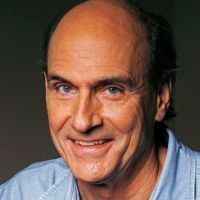 This will be James Taylor's first concert in Montreal since he last performed at Wilfrid-Pelletier Hall of La Place des Arts, in Montreal, on June 27th, 2012, during the Montreal Jazz Festival ! Don't miss this wonderful evening with James Taylor !